The ‘750’ range are versatile cut and wrap machines, which has been designed for strength and durability, as well as ease of operation and low maintenance. The machine sizes, shapes, cuts to length and wraps toffee, fruit chew, bubble gum, or high boiled sugar fed in rope form from a Batch Roller/Rope Sizer or extruder. Versions of the ‘750’ machine can produce square, rectangular, round or cylindrical shaped sweets and lollipops, in various wrapping styles. The ‘750’ range are versatile cut and wrap machines, which has been designed for strength and durability, as well as ease of operation and low maintenance. The machine sizes, shapes, cuts to length and wraps toffee, fruit chew, bubble gum, or high boiled sugar fed in rope form from a Batch Roller/Rope Sizer or extruder. 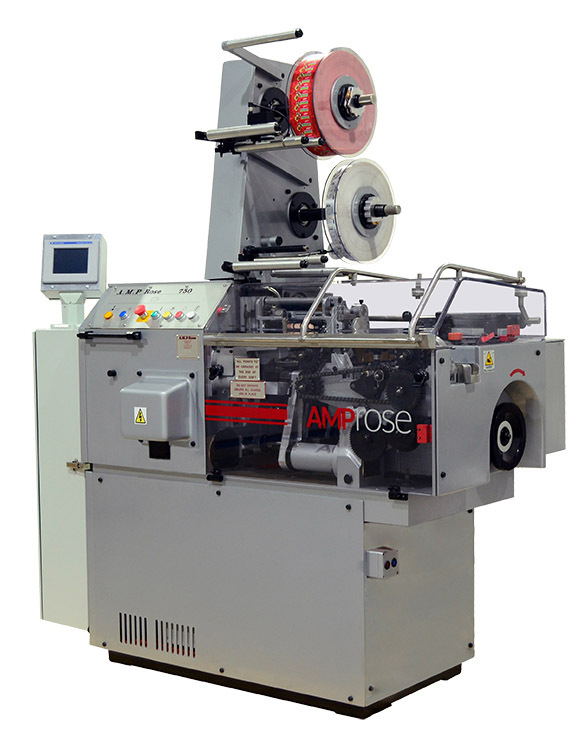 Versions of the 750 and 755 cut and wrap machine can produce square, rectangular, round or cylindrical shaped sweets and lollipops, in various wrapping styles. 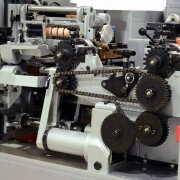 A rope of confectionery product is fed to the infeed section of the cut and wrap machine. Two pairs of intermittent sizing rollers feed and size the rope to the desired width and thickness. The presence of the rope is detected by a sensor and the PLC signals the paper feed to engage at the correct time, thereby avoiding wrapper wastage. 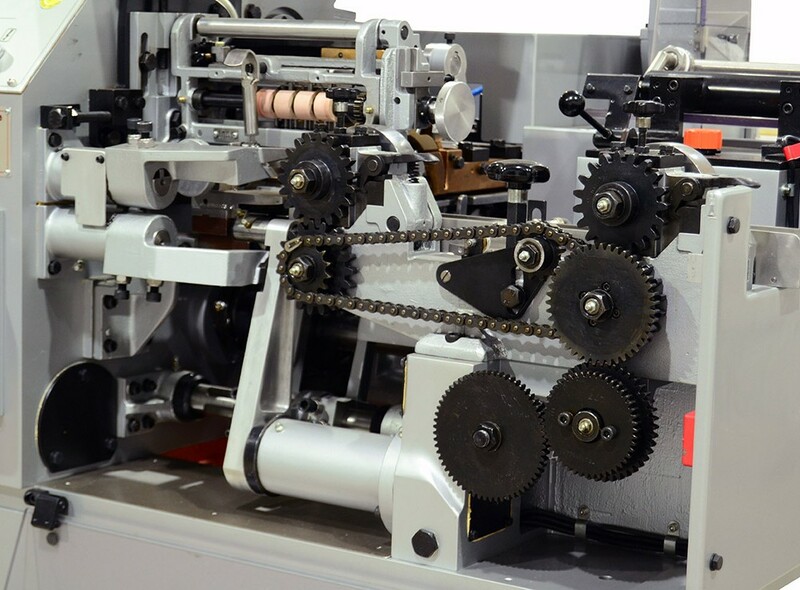 Paper feeding rollers provide the correct length of paper, which is cut-off by an easily detachable rotary knife. 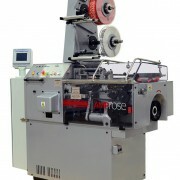 The rope of product is cut to the desired length by a pair of nipping knives (rotary knife on 750WT) and then pushed with the cut wrapper into the wrapping wheel. The wrapping is completed as shown in the diagram, depending upon the desired wrapping style. 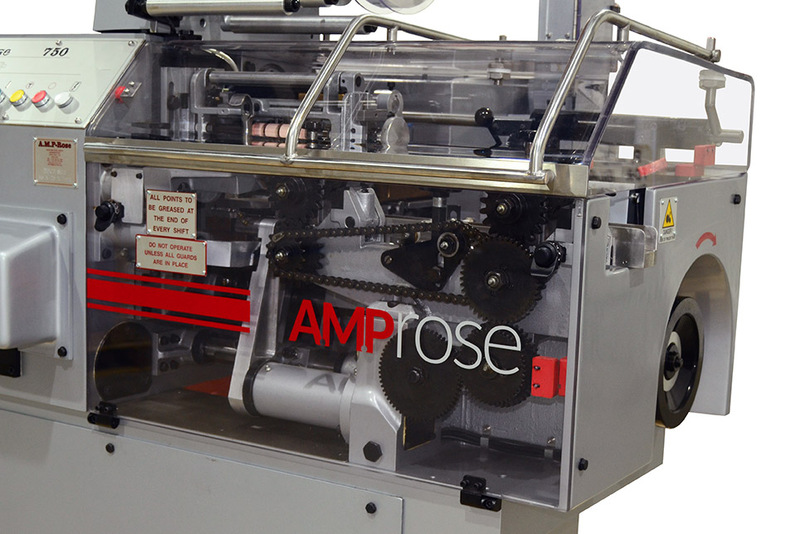 The cut and wrap machines have been designed to withstand the rigours of high-speed confectionery production. Precision machined components are housed in a solid cast iron frame and are constantly lubricated with oil. External parts are designed for easy removal for cleaning and maintenance purposes. The machines therefore require little servicing, maintenance or spare parts. 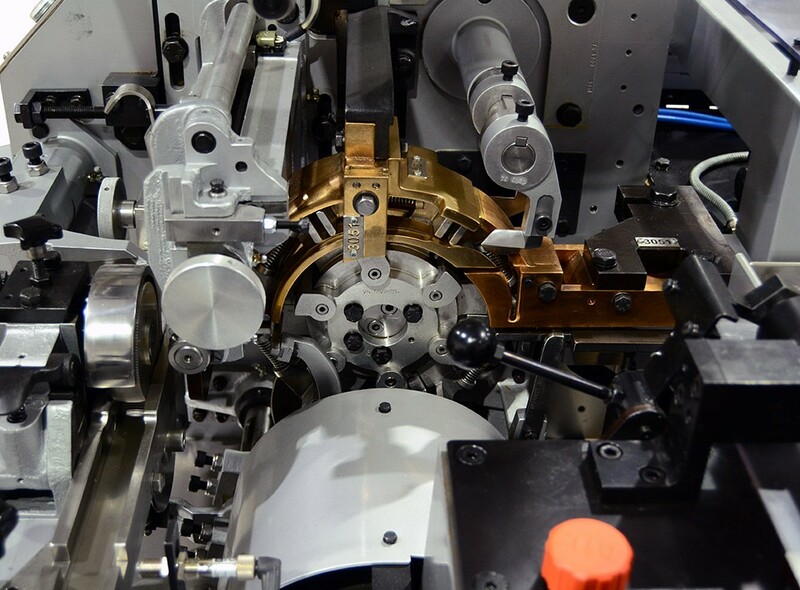 Control of the machine is achieved through a PLC system, which has diagnostic features such as warnings of wrapper ruffles or guards incorrectly positioned. All electrical/electronic components are of the highest international standards and are housed in a single enclosure with a hinged door for easy access. Operation of the machine is via the conveniently located control panel. Interlocked guards are fitted, giving protection to the operator from noise and movement hazards. All machines meet current health and safety and ‘CE’ standards. 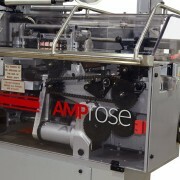 The cut and wrap machines require minimal operator intervention – a sensor detects the presence of product in the infeed section of the machine, automatically activates the paper feeding mechanism and runs the machine up to the desired operating speed. The design of the guards makes it easy to access all internal and external areas of the machine, cutting the time required for routine cleaning and maintenance to a minimum. Waxed paper, cellophane, PVC, suitable polypropylene or paper backed aluminium foil. Standard core diameters of 57mm and 77mm. Other sizes available on application.